Asheville, North Carolina was recently voted the best small city in which to find vegetarian restaurants. 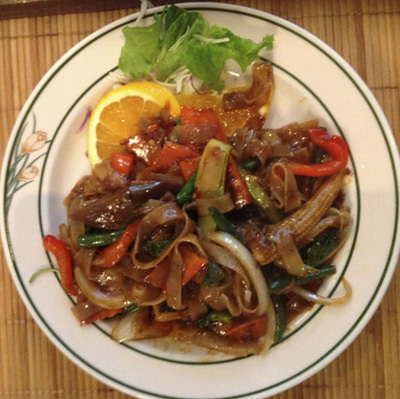 Somehow, Suwana’s Thai Orchid was overlooked in several of the on-line vegetarian search engines. We are so tired of the standard vegan fare, meatless meals made to look like meat, tofu out the wazoo. 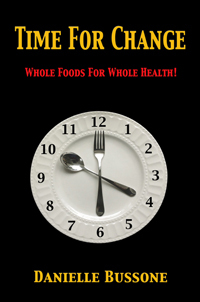 What we want are delicious fresh vegetables presented in healthy, tasty sauces. Suwana’s Thai Orchid certainly accomplishes that. The owner is very conscious of the needs of vegan diners and everything on the menu can be made vegan. At lunch I had a wonderful Spicy Eggplant dish for $7.95 and Rich had and equally tasty dish called Drunken Noodles, also $7.95. This was a real deal compared to the menus of the strictly vegetarian restaurants and the portions are generous. Evening vegan meal options averaged around $12.95. The service was excellent, the waitress knowledgeable and friendly. 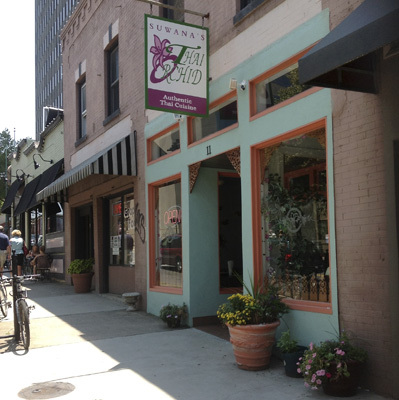 The location is great, right on Broadway (Asheville’s main street), and was clean and pleasant. 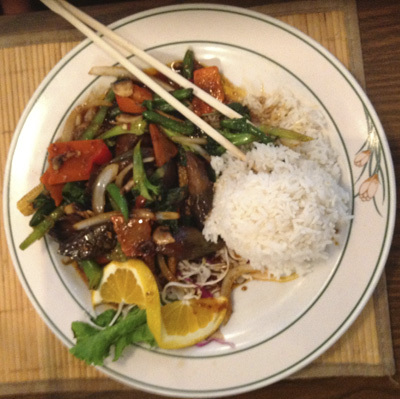 We will definitely be eating at Suwana’s Thai Orchid again! I too have had their drunken noodles! 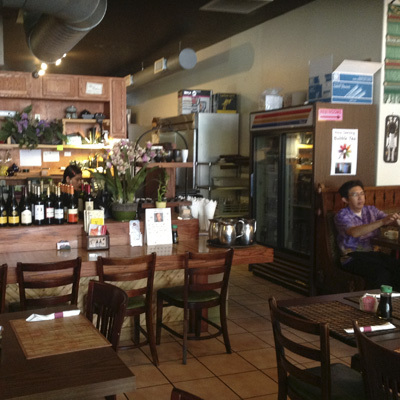 The Thai Orchid is delicious, authentic, and has a nice atmosphere to boot. We’re on it, Laura! Thanks!